Tropical Diseases 2019 is the only meeting where you can learn about Infectious Diseases from a variety of perspectives, both research-based and clinical. We will discuss the newest therapeutic techniques and diagnostic tools as well as the most up-to-date research on genetic, etiology, diagnostic, clinical aspects and novel therapies of Infectious diseases. Global Infections Conferences provides the time to collaborate with industry peers and discover knowledge and resources that can be used to achieve your personal and organizational goals. 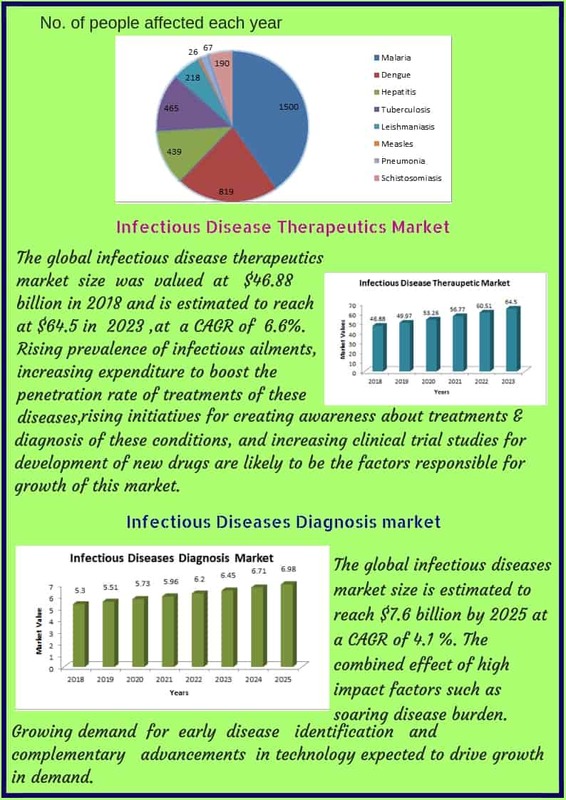 Infectious diseases meet incorporates, visitor addresses, keynotes, symposiums, workshops, presentations, board talks, poster sessions, and various summits for the all over participants. 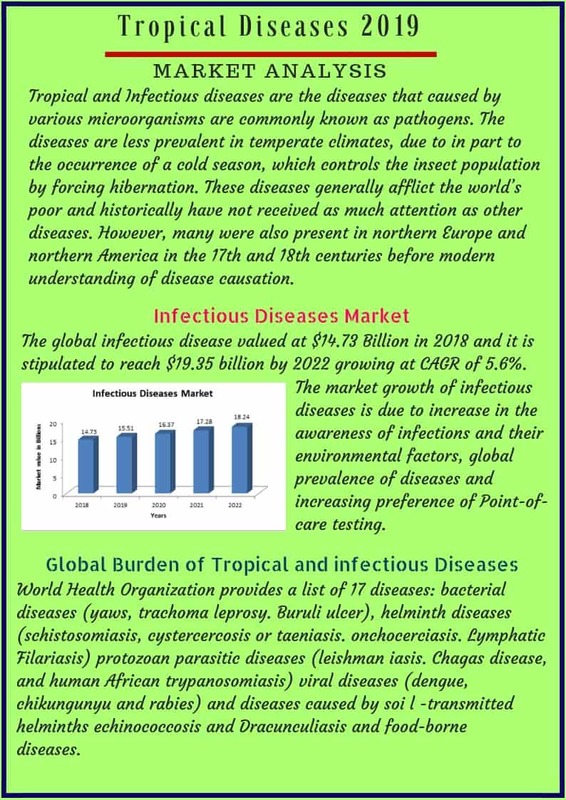 This meeting will unite many representatives which include worldwide Specialists, Researchers, Analysts, Understudies, Nurses, Exhibitors, Investigators, Microbiologists, Pathologists, Pharmacists, Professors and Industrial Pharmaceuticals and Business delegates everywhere in the globe to connect us Bali in December 2019 for the 2-day Tropical Diseases meet.